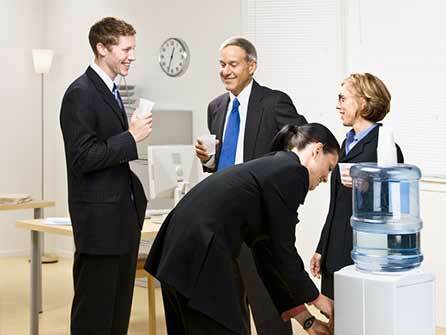 Aussie Natural > Blog > Could an Office Water Cooler Boost Heart Health in Your Company? In this modern world, the workplace is likely to be filled with stress triggers. From ringing phones to urgent emails, you may find that you and your employees have a stressed filled day. However, did you know that being dehydrated puts even greater stress on all your body functions? Research has shown that proper hydration could provide a boost to heart health, creating an even better reason to consider water coolers for offices. Most of us are aware that being dehydrated can lead to serious health issues, but you may not be aware of the impact on heart health. A research study published in the U.S Journal of Epidemiology documented a 54% lower risk of suffering from a fatal heart attack in men who were drinking, at least, five glasses of water each day, compared to those who were drinking less. A similar trend was seen in women, with those drinking, at least, five glasses of water being 41% less likely to have a fatal heart attack. However, maintaining proper hydration does not mean just drinking liquids. Researchers from the same study found that men who were drinking primarily liquids other than water, such as tea, coffee, milk, alcohol or juice had an increased risk of 46%. With the same parameters, women’s risk of suffering a fatal heart attack actually doubled. Water is unique as it can be quickly absorbed into the bloodstream. Unlike juice or soda, water does not elevate blood viscosity. It can act as a blood thinner, making it easier for the blood to pass through the arteries and reduce the risk of clots. Cardiovascular disease is attributed to one Australian death every twelve minutes. It is currently one of the largest health problems in the country and is one of the biggest burdens on the economy. Approximately 3.72 million Australians are affected by some form of cardiovascular disease, including heart attacks, stroke, or blood vessel diseases. Approximately 1.4 million are affected by heart disease, which is the leading cause of Australian deaths. Studies estimate that in excess of 350,000 Australians have suffered a heart attack at some stage in their lives. From a purely fiscal point of view, this could be costing your business thousands of dollars each year. 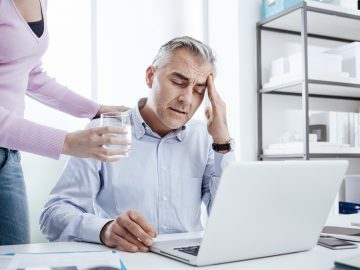 When you consider the cost of installing filtered water coolers for offices, it is a drop in the ocean compared to the sickness benefits, lost resources and hiring costs associated with one employee developing a long term illness such as heart disease. Water coolers encourage people to drink more. While tap water may be sufficient for hydration, if it doesn’t taste nice it is not likely that your employees will be drinking it. 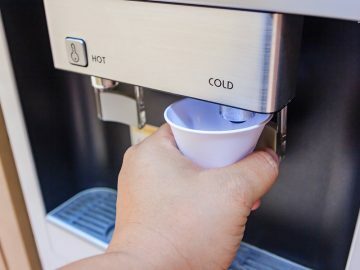 So, instead of considering a new coffee urn, why not think about boosting the heart health of your employees with a new water cooler. If you would like to learn more about the benefits of drinking good quality water, speak to us. 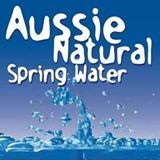 The Aussie Natural team of water enthusiasts would be delighted to discuss our delicious spring water. We can also advise you on our water coolers for offices options or water filter models.